The mother blessing ceremony, also known as Blessing Way or blessing the way ceremony, originates from the Navajo People, although similar rituals are performed in different native cultures around the world. 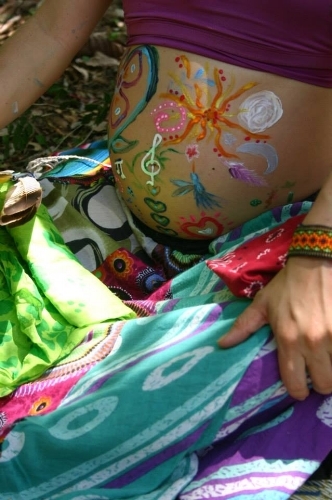 It is a very positive ritual, affirming that a woman will have a beautiful birth experience. 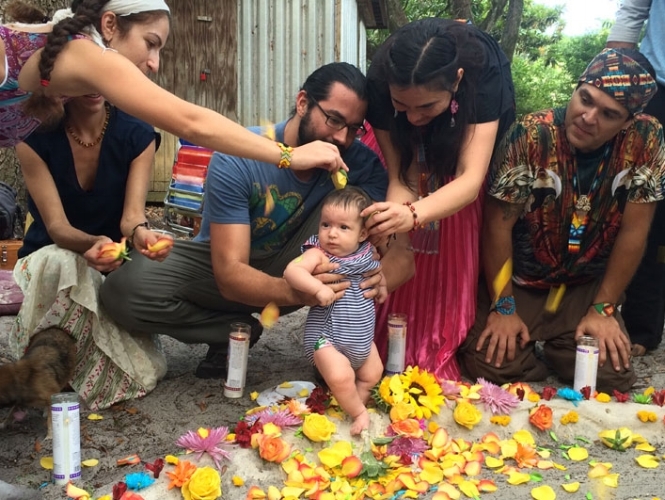 The ceremony marks a woman’s rite of passage; it is a celebration of empowerment near the time of birthing. 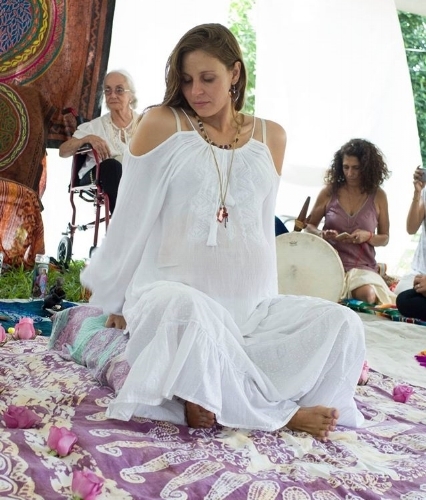 Within a circle of friends in a quiet gentle spiritual ceremony, those attending will celebrate sisterhood; welcome a new baby to earth and honor mother, birth, life and rebirth. As a Native American Church minister, I perform traditional Native rituals during the celebration and the Ceremony includes basic steps through which we ensure the balance of the 4 elements of life Water, Fire, Air and Earth and the energy of the ancestors (grandmothers and grandfather) is received and honored for the celebration of the mother and the child as well as the father, however, we will tailor your Blessing ceremony accordingly to your cultural, religious and spiritual believes, adding or subtracting elements to make it your own. ❀ I will have a personal meeting to get to know each other a little, share information, set your intention for how you want your Mother Blessing to be, and talk over location, dates, time, budget, number of participants etc. ❀ On the appointed day, I will arrive at the place of the celebration at least 1 or 2 hours before the time of the event to set up the space and take care of the details before the invitees arrive. ❀ For a Mother Blessing with 10 or more attendants, I always bring one or two women to assist me depending on the size of the group and the personal preference of the mother-to-be. ❀ I will hold the space and direct the activities of the day so that the expectant mother can totally relax. I am there to ascertain the mother wishes or desires beforehand, and make sure there is enough time for all the things on the wish list. ❀ It sounds obvious, but I begin the ceremony by welcoming everyone present. It’s important that everyone feels welcome in order to be totally there for the celebration of the mother to be. ❀ When sitting in a circle, it’s important that everyone can see each other. I make sure everyone is physically cared for, comfortable on their seat/cushion, hydrated, fed, and knows where the bathroom is. SO…WHAT DO YOU DO AT A Mother BLESSING? Although the Mother Blessing is a Native American inspired ceremony, I will be glad to present alternative approaches the ensure that your traditions and the traditions and/or religious faith of you and your family are respected, every step of the celebration is about making you feel loved, empower and happy, so they can be altered, added or removed in order to achieve that, providing you with a personalized experience. I’ll be happy to work with your intention, ideas and possibilities to make it an unforgettable experience. Thank you, may your path flower and many blessing ways to you! For a free meeting and consultation if you would like to have a Blessing way for yourself or plan one for a friend. ALL INFORMATION IN THIS PAGE IS SUBJECTED TO COPYRIGHTS © AMANKAY SERVICES.